LESS for preprocessing CSS and much more. In addition we should consider the ideal compatibility of the framework with the trending responsive web design, so all the Bootstrap themes are automatically granted with layouts for handheld devices. However, let me not go into details with the Bootstrap essence here, since there are meaningful posts fully revealing Bootstrap functionality benefits and the advantages of the latest Bootstrap 3.0 version. The other interesting fact: TemplateMonster launched Bootstrap themes. Our web design team took the basic functionality features of Bootstrap and went further improving the templates with a number of exceptional add-ons. The opportunities of the page editing are expanded by quick access to Under Construction, Intro Page and 404 Page subpages. 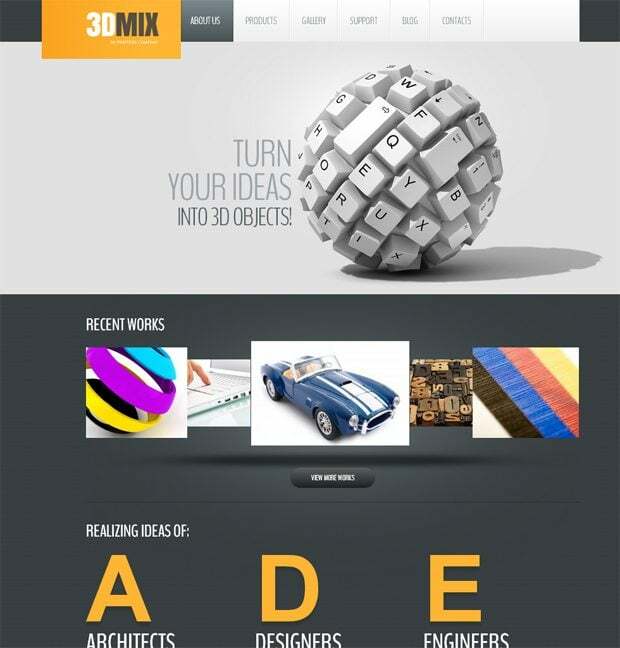 CSS3 tricks and special Slider management tool would assist in enhancement of the visual side. One more needful feature is Social Media supplement that simplifies the work with Twitter, Facebook, Flickr, YouTube and other social media widgets. Each Bootstrap theme carries documentation for better process of the products cognition. Anyway, it would be consequentially to check our Bootstrap tools & tutorials post for better understanding of the toolkit nicety. If you are still not sure, whether you need to get the Bootstrap template, TemplateMonster is always ready to suggest try out the Free Bootstrap Responsive Template optimized for a photography website. Further I'm glad to announce an upcoming release of a Bootstrap Hornbook Interactive Infographic by TemplateMonster. The infographic will absorb a tool chest needed for everyone engaged in Bootstrap development: generators of styles and themes, free PSDs/fonts/buttons/icons, plenty of tutorials (with video guides included), plugins, code snippets, shortcodes etc. By the way, the .JPG version will be also available for you to place Bootstrap Hornbook on your web pages. Stay on the line for being aware of all useful updates. As for now, feel free to scroll down in order to check all the TemplateMonster's lines of Bootstrap themes. The most exclusive Bootstrap powered line of templates, which incorporates original (but not less important) features and the special TemplateMonster add-ons bringing functionality to the next level. I’ve mentioned about most of the extra tools in the header text, but I won’t be tired to list them one more time: quick access to the three subpages (Under Construction, Intro Page and 404 Page), optimized social media integration process, the slider with advanced capacity, crafty CSS3 tricks and suitable portfolio layouts. TM team has elaborated a special Cherry Framework to fill the software environment with maximum reliability regarding these significant Cherry WordPress templates that are demonstrated below. The product is thoroughly based on the Bootstrap front-end tool. The result of mixing Joomla core with Bootstrap capacity is worth checking for the unimitable style and unique complex of features. These templates are an actual proof Joomla can give more than it does. Thanks, you gave some some useful information. You are always welcome. Check out for further updates regarding the Bootstrap themes.